One of the most overlooked areas within the valvetrain for a performance engine is pushrod length. Veteran enthusiasts may scoff at this because back in the day, you just dropped in a set of stock pushrods, set the lash on that solid cam and went out and made noise. 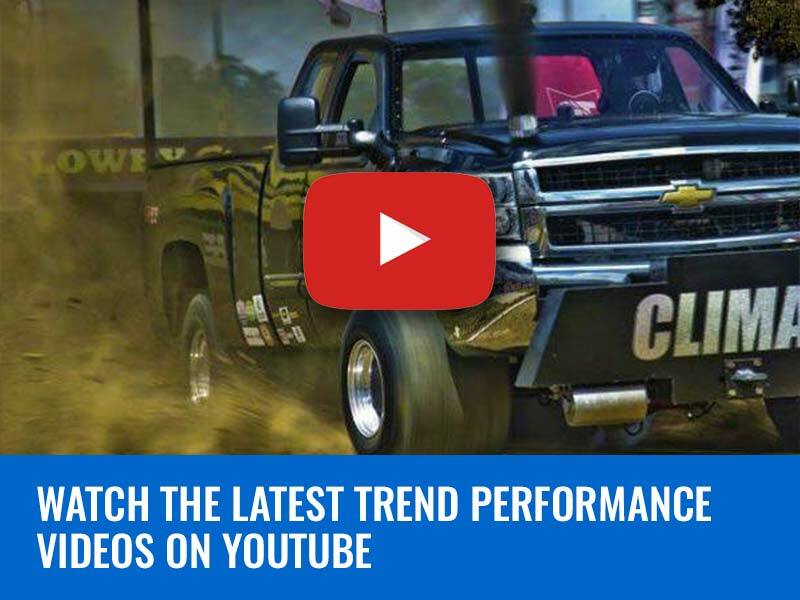 But the performance world has evolved. Power numbers are escalating, engine speed continues to climb, and spring rates are growing, all of which adds to valvetrain stress. One way to make life easier on the valvetrain is to idealize its operating geometry. 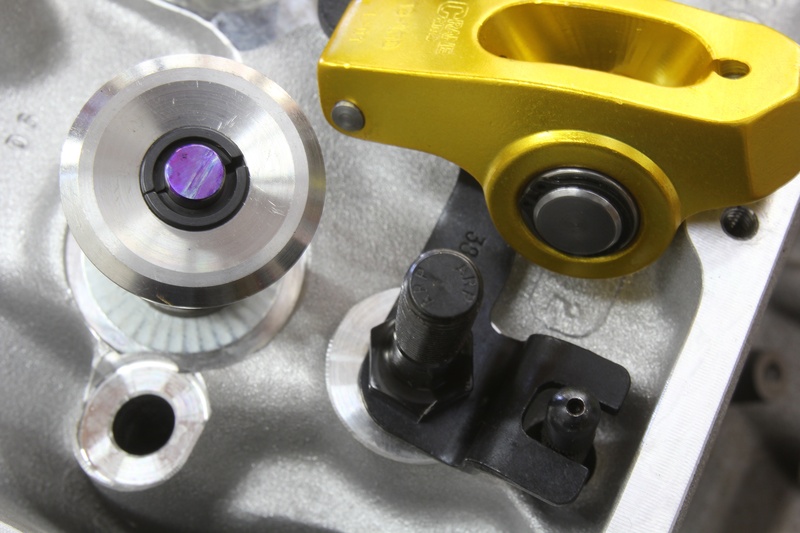 If you were to watch a rocker arm from the side as it traversed through a complete lift cycle, the tip of the rocker arm does not travel straight up and down, but instead scribes an arc that pushes and pulls the rocker tip across the tip of the valve stem. This is a universal trait of all rocker arms. 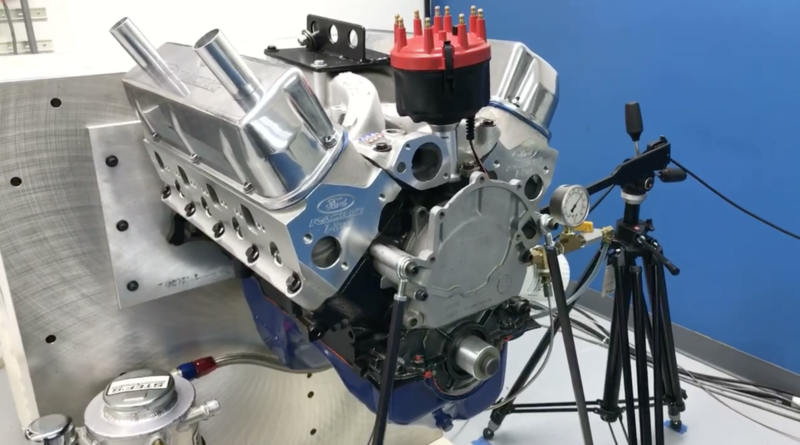 Engines with adjustable valvetrains like the small- and big-block Chevy are among the most challenged when it comes to setting pushrod length, so we’ll use them as examples. Trend offers five individual adjustable pushrods spanning a range from 5.800 to 11.800 inches of overall length. A cup end is also available. Each pushrod is marked with its 0.140-inch gauge pin length span and will adjust over one full inch. If you look at the accompanying diagram of how the rocker tip moves across the face of the valve tip, this description will become clear. An ideal pushrod length will minimize the distance that the valve trip travels across the valve tip. Pushrods that are either too long or too short only increase this distance. A too-short pushrod positions the rocker tip too far to the intake (inboard) side of the valve tip. Conversely, a pushrod that is too long, positions the rocker tip too far outboard (exhaust side), forcing the roller tip potentially to travel off the edge of the valve tip! We put a big-block on a stand where we could turn the engine by hand to make all this easier to visualize. If we paint the top of the valve stem tip with a Sharpie or machinist’s dye, rocker travel will leave a witness mark that will indicate the width of valve tip travel. Set up a rocker and pushrod assembly and rotated the engine through at least two full valve lift cycles. If the pushrod is too short, the mark will be toward the intake (inboard) side of the valve tip. If the pushrod is too long, the travel will be toward the outboard or exhaust side of the valve tip. An ideal pushrod length will minimize the travel across the center of the valve tip. 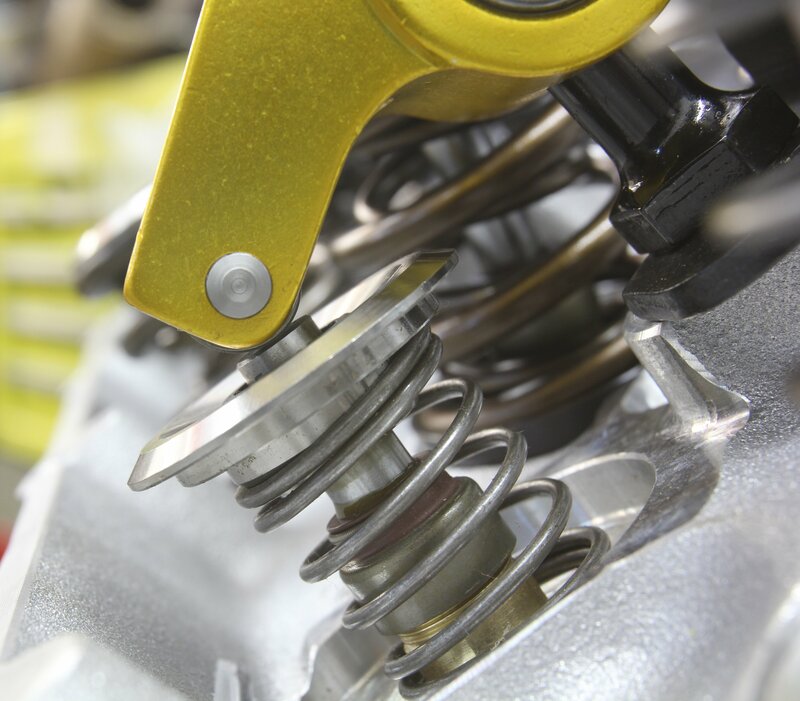 By shortening the distance travelled, we not only reduce friction in the engine but also reduce side loading on the valve tip, which is no small consideration when dealing with long, thin valve stems and high spring pressures. Setting proper pushrod length benefits all engines, but is especially critical in high rpm applications. Each revolution of the adjustable pushrod extends its length by 0.050-inch. So turning the pushrod two revolutions on a 6.800-inch pushrod would make its overall length 6.900-inch. If you are assembling a new performance engine equipped with non-standard parts like 0.100-inch longer intake valves or lash caps, these components directly affect the pushrod length. Other variables that affect pushrod length would be changing from a flat tappet to mechanical or hydraulic roller lifters. Different manufacturers use various pushrod seat height lifters that affect pushrod length. Other variables include lobe base circle size differences. It’s not unusual to discover, for example, that the base circle diameter can change between the intake and exhaust lobes on the same camshaft. 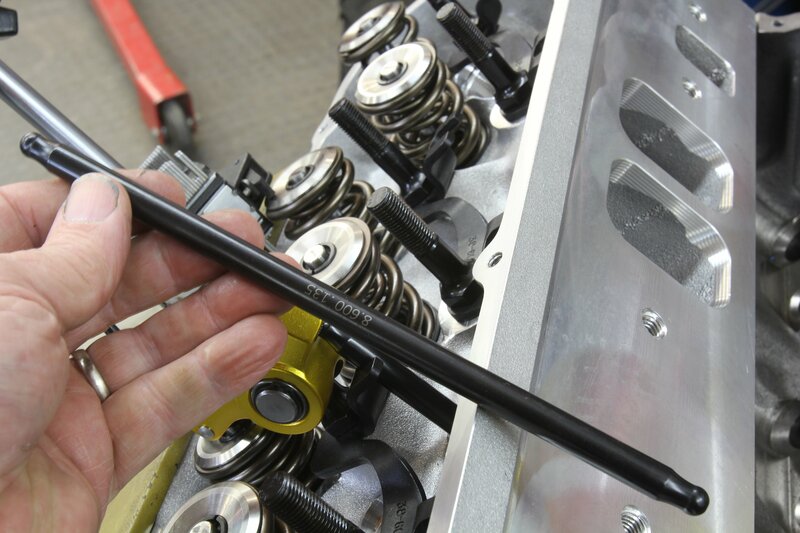 Setting pushrod length is among the last custom settings accomplished when assembling a new engine. 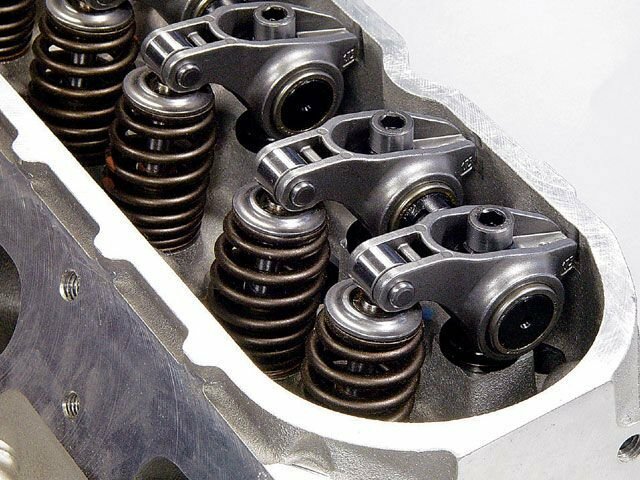 A common practice is to set up the entire valvetrain with the head on the engine with the head gasket and replace the existing valve springs on the test cylinder with light duty checking springs. This is an important step because Trend’s adjustable pushrods are not intended to work against high spring loads and will bend if used with even stock valve springs. Start the procedure by painting the valve tip end with a Sharpie. Then position the lobe on its base circle and install the adjustable pushrod and rocker on the valve. Adjust to zero lash and then create a witness mark by wiggling the rocker across the valve tip. This mark will indicate the rocker's starting position. A quick way to get close to the proper pushrod length is to first paint the top of the valve tip. Rotate the crank until the lifter is on the base circle of the cam. Now set the adjustable pushrod in place and adjust the rocker until there is zero lash. Now lightly rub the rocker across the valve tip to establish a witness mark on the valve tip. Inspect the position of the mark and re-adjust the pushrod length until the witness mark is roughly 1/3rd of the distance toward the intake side from centerline. This will generate a close approximation of the ideal pushrod length for street engines. For competition engines, the ideal pushrod length will be the one that creates the least amount of travel across the valve tip. This will require more precise measurements. Custom tools may not be needed as a dial caliper could be employed to measure the width of the trace mark across the valve tip. Of course, canted valve heads will require different length pushrods. Using Trend’s adjustable pushrod is very easy. The adjustable pushrods come in five separate lengths from 5.800 to 10.800-inch. Each pushrod will offer one inch of travel. For example, the 10.800-inch version pushrod tool will extend out to 11.800 inches. 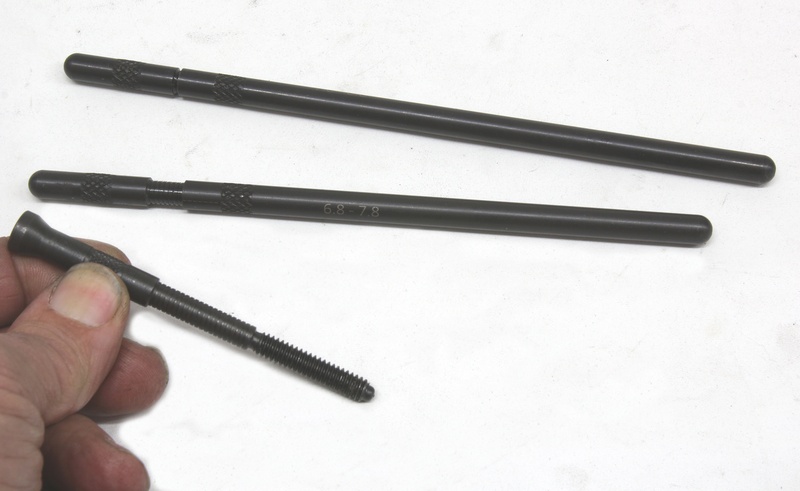 These pushrods are a two-piece design with internal threads with one full revolution of the pushrod tip equal to a 0.050-inch change in length. So a 7.800 base length pushrod turned five revolutions from its starting point would equal 0.250-inch. Adding 7.800 + 0.250 = 8.050-inches in overall length. Logically, half turns would equal 0.025-inch. Trend stocks most shelf pushrods (with a 100,000 pushrod inventory) in 0.025-inch lengths. For those engine builders who live to be ultra-precise, specific custom pushrods lengths can also be ordered. 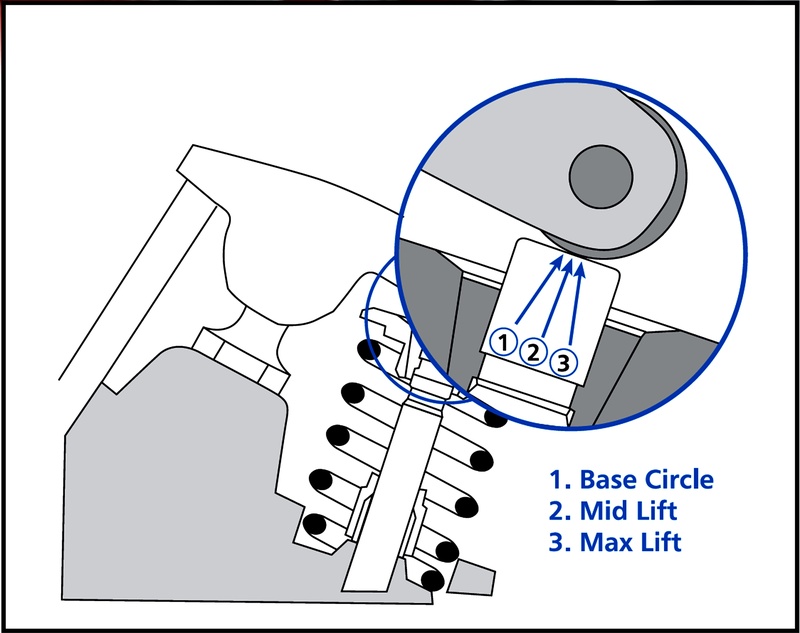 This illustration shows how the rocker tip travels across the valve through its lift curve. The transition is: 1-2-3-2-1 with the 2 position at mid lift. Custom shaft rocker assemblies are becoming more commonplace and these systems place enhanced emphasis on pushrod length. The main reason for this is because there is limited available adjustment range in the small threaded seat in the rocker itself. Generally, these are restricted to an adjustment range less than 0.025-inch, so the pushrod length must be very close to ideal. 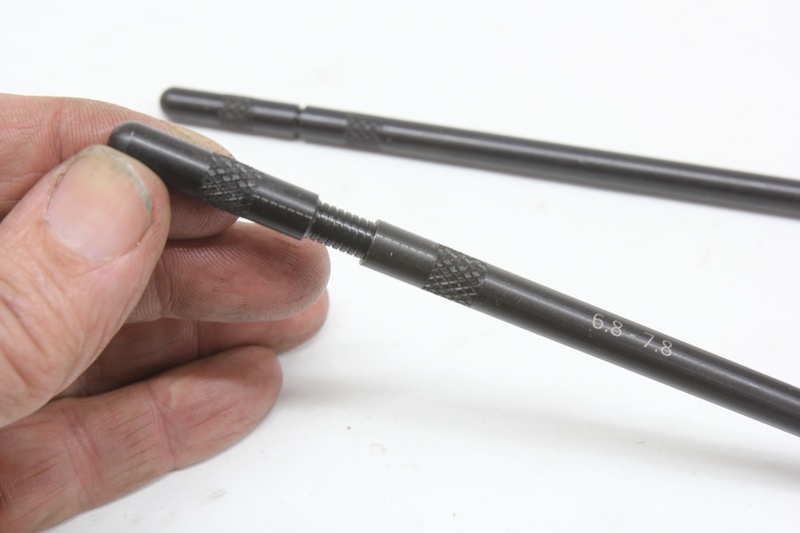 This will generally call for custom length pushrods that may need to be physically measured as opposed to just counting the number of turns on a pushrod length checker. In this case, measuring the actual length of a pushrod needs to be accurate. Trend suggests a procedure that requires finding a pair of washers with 0.140-inch inside diameters. These are necessary to accurately place the measurement point at the 0.140-inch radius of the pushrod tip. Using an appropriate length dial caliper, measure the overall length of the washers and pushrod. The combined thickness of the two washers is subtracted from the gross length to determine true pushrod length. Using a pair of washers (in our case, electrical ring terminals) with 0.140-inch inside diameter holes, we measured the overall length of the pushrod with a dial caliper and then subtracted the combined thickness of the washers. Measuring a pushrod that combines both a ball tip and a cup requires the use of a machinist’s ball. Assuming we are dealing a 5/16-inch cup on one end, the technique is called the “overall length measurement”. The machinist’s ball should measure 0.3125-inch in diameter. Place the ball in the cup and measure the overall length including the ball. Then subtract half the ball diameter (0.1562-inch) to get the overall length. As you can see, there’s actually significant detail required to setting pushrod length because this dimension plays such an important role in the valvetrain geometry. But attention to these details is why custom engine building is as much an art form as it is a science.